Is a global online retail organization that conveys items to purchasers in more than 200 nations and regions. 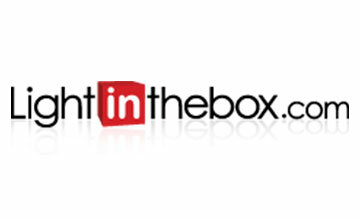 Lightinthebox.com was founded in 2007 by Quji (Alan) Guo and Xin (Kevin). Light in the Box is a global online retail company that ships their products to customers in over 200 countries. They have their headquarters in Beijing, People’s Republic of China. Light in the Box is an international wholesale retailer that offers discounted items from their warehouses in China. Lightinthebox.com offers great deals on a huge selection of various products, including electronics, computer supplies, auto supplies, clothing, sports equipment, beauty products, and even special occasion dresses. The company also provides free shipping on all orders to various countries around the world. With discounted prices and free shipping, the potential savings on all products available at Lightinthebox.com are huge. Very low prices; some products up top 70% off. The company also allows you to shop in various currencies, so your savings will always reflect in your currency not matter what location you are in.